Boston Medical Center is among three Massachusetts based hospitals that offer ketogenic dietary therapy to patients with epilepsy. Physicians and dietitians work closely with families throughout the induction and maintenance phases of the ketogenic diet to offer information, support, and in person food preparation lessons in BMC's Teaching Kitchen. Catherine Barry discusses the ketogenic diet for Epilepsy. She shares how BMC helps Epilepsy patients explore this diet safely and effectively to help decrease symptoms and seizures. 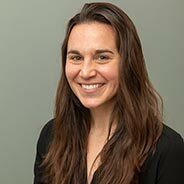 Catherine Barry, MS, RDN is a pediatric specialty dietitian who specializes in ketogenic diet(s) specifically for pediatric patients with epilepsy. Melanie Cole, MS (Host): It’s so interesting that studies dating back to the 1920s have shown that diet can improve seizure control in people who have epilepsy. Boston Medical Center is among three Massachusetts based hospitals that offer the ketogenic diet therapy to patients with epilepsy. My guest today is Catherine Barry. She’s a pediatric specialty dietician who specializes in the ketogenic diet specifically for pediatric patients with epilepsy at Boston Medical Center. Catherine, first tell us about epilepsy and how does diet and what we eat effect seizures and epilepsy? Catherine Barry, MS, RDN (Guest): Sure. So just a little bit of background. Epilepsy is a neurological disorder that’s characterized by recurrent and unprovoked seizures. So, they're marked by periods of abnormal brain activity. Apart from traditional treatments like pharmacotherapies, so the traditional anti-epileptic medication, diet and specifically the ketogenic diet has been used, as you mentioned, since the late 1920s. In the past, more as an adjunct therapy, but more recently even as a primary treatment modality for epilepsy by manipulating the seizure threshold and by altering the susceptibility of patients to seizures. Host: What is the ketogenic diet and how does it work? Tell us a little bit about it. Catherine: So, there are a couple of different iterations of the diet, but they all have the same general makeup. So high fat, low carbohydrate, and what we referred to as nutritionally adequate protein. So, for growing kids there might be a slightly higher portion of protein than there would be for a more static adult. But really the bottom line is that there’s a restriction of carbohydrate and a concomitant increase and emphasis of fat within a diet. So, on a biochemical level, it produces a metabolic shift in energy production away from the use of carbohydrates or glucose oxidation and towards ketone body metabolism from fatty acids. So, breaking that down a little bit, in the absence of carbohydrates for fuel, the body relies on fat breakdowns which produces what are called ketone bodies. The main ones being acetone, acetoacetate, and beta hydroxybutyrate, which are very efficient fuels for most of the tissues and muscles in the body, including the brain. Host: Catherine, since this diet is a medical treatment, who is it suitable for? Are there certain candidates for whom this would be a better option than others? Catherine: So, it’s a good question. The largest body of research supports the diet in pediatric patients, but there’s really no restriction on age. In fact, there’s a good deal of evidence that points to the efficacy of the diet in adults with epilepsy as well. There are certain conditions that seem to be more responsive to diet. Things like infantile spasms. But generally, there are very few outright contraindications to at least trialing the diet. Say for patients with certain mitochondrial disorders, which makes the diet more broadly applicable across the spectrum of epilepsy. Host: Let’s begin. If someone comes to you and you’ve determined that this would be a really great treatment therapy modality for them, what is the first step? How do you begin such an intense diet? And how difficult is it for the family and for the parents to prepare? Catherine: Sure. So, at the very outset of the diet, I take a very comprehensive and detailed overview of what their typical diet looks like at home. So, taking into consideration things like their culture and things that might make their diet look very unique to their family. Then ruling out any sort of metabolic disorder, we dive in by exploring exactly what the diet would entail. So, what generally meals would look like, how the diet itself is prescribed, and how it might look different for every individual patient depending on their degree of response. So we do a very detailed look into what the different macronutrients are in a regular diet. So, carbohydrate, fat, and protein, and explore what trial the diet composition is going to be manipulated over time to produce the metabolic effect that induces ketosis. Host: So, what does a typical meal on the ketogenic diet look like? I think that listeners would be very interested in the steps that families have to take, whether it’s eliminating simple sugars or looking to plant based options. Please tell us what a meal would look like. Catherine: Sure. So, as you can probably imagine, it’s a lot of fat. But we do aim to incorporate a variety of fat sources to keep the diet interesting and palatable to avoid taste fatigue as much as possible. So, when we talk about those macronutrients, we think of fat sources being things like heavy cream, oils, avocado, mayonnaise, butter, cheese, nuts, and seeds. Then the meal would also include a protein source. So, if it’s financially feasible something like fish or eggs, meat, small amounts of beans. Then a carbohydrate source. So primarily leaning on non-starchy vegetables and fruit for their nutritional profile and also incorporating some grains if at all possible. Because a lot of these meals, if not most of them, are made from scratch, it can certainly be both time and labor intensive. Depending on the diet, often individual ingredients have to be weighed and measured. So, I always suggest things like batch cooking and freezing pre-portioned meals to reheat. Then I help a lot with initial meal planning and slowly relinquish ownership of that as the family gets more comfortable at home and as it becomes more routine. Host: Do they have to stay on this diet for the rest of their lives? I mean what happens as a child grows into their teen years and then even into adult? If you’ve seen a reduction of seizures, then what happens as far as the diet’s concerned? Catherine: Sure. So, I would say the average duration for the diet is around two years, but certainly we’ve maintained patients on the diet for much longer. Sometimes upwards of 10 to 15 years with a good clinical outcome. But as the child might age and their palate will change and/or they are no longer able to be compliant with such a restrictive diet, there are different iterations. Going from the classic ketogenic diet to what’s called the modified Atkin’s diet, low glycemic index treatment and the medium chain triglyceride diet. All of which are a less restrictive approach that allows for a larger variety of food. So, on the whole, are generally able to be maintained for longer periods. So, where we might start infants and young kids on what’s called the classic ketogenic diet, which requires a specific and prescribed ketogenic ratio of fat grams to the grams of protein and carbohydrates. The other more modified versions typically use things like household measurements of sticking to specific types of food, like low glycemic index foods in order to produce the desired effects. Host: So, you mentioned that maybe two years they would have to be on this diet. Are there any side effects? When you say it’s high fat and cream and butter, all these things doesn’t sound like a very heart healthy diet, but that’s not really what we’re going for here is it? Catherine: So, there are different side effects. Some slightly more chronic than others. At the diet induction, sometimes patients feel a little bit sluggish as their body makes that transition from metabolizing primarily carbohydrates to fat. At that point, we’re looking for more acute symptoms like hypoglycemia because we’ve restricted their carbohydrate intake. Or even something called acidosis. So certain drugs in combination with the diet can alter our blood pH to become more acidotic. So, for those things we typically prophylactically buffer and provide, for instance, a certain amount of baking soda or a citrate to reduce an acid load. Then over the long term, we look for nutritional deficiencies given the general rigidity of the diet. Also, things like high cholesterol. That’s usually transient and returns to baseline after around three to six months on the diet and can be mitigated by changing the fat composition from primarily saturated to unsaturated sources. Things like constipation. So, as you’d imagine, eliminating fruits, vegetables, and whole grains—which is the primary fiber rich foods that you’d be eating that typically help with bowel motility. So, if and when we can adding things that are still fiber rich but low carbohydrate containing, like avocado and nuts and seeds. Then things like if there’s a history of kidney stones. We often recommend a certain maintenance fluid dose and occasionally add something like a prophylactic citrate to, again, solubilize and inhibit crystal formation. Then we just check on bone health as, again, the diet, if you're on an anti-epileptic medication that typically leach calcium from the bones, that in combination with a high acid load from the diet can lessen bone integrity. So, we usually supplement with calcium and vitamin D.
Host: That’s so interesting. Catherine, thank you for sharing so much great information on a treatment that people might not realize is so important for patients suffering from epilepsy. Please wrap it up for us. What you would like listeners to take away from this segment on the ketogenic diet and really how easy it is to incorporate or how difficult it is to incorporate for the whole family. But really how efficient it is and the outcomes that you’ve seen. Catherine: Sure. So, I think overall, if you're monitored and being followed by a medical team, the ketogenic diet is definitely a treatment modality that’s worth investigating. Given the relative efficacy that we’re able to see, sometime upwards of a 50% reduction in the number of seizures up to clinical remission, even after tapering diet and weaning medications. It’s a viable option for most patients that have different epilepsy syndromes. So certainly, worth looking into with your medical team, making sure that there is adequate support and follow up to make the diet as feasible as possible. Host: That’s great information. Thank you again Catherine for joining us. This is Boston Medtalks with Boston Medical Center. For more information you can go to bmc.org. That’s bmc.org. This is Melanie Cole. Thanks so much for listening.